Cleland Hunt Strickland, 86, of Richmond, Va., formerly of Chattanooga, Tn. and Baton Rouge, La., passed away Monday, February 4, 2019. Her friends and family will miss her big smile and her quick wit. 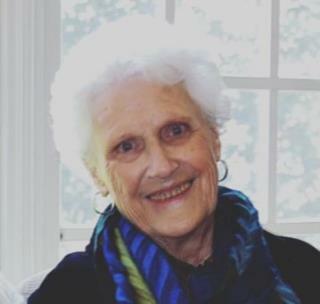 On any given weekend, Cleland could be found watching golf, a sport she loved and played through the years. Family and friends marveled when Cleland, in her 40s, completed her education at Louisiana State University in her beloved Baton Rouge,. She also earned her bachelor’s and master’s degrees, was named “Teacher of the Year,” and became an elementary school principal. Cleland was preceded in death by her parents, Cheney and Edna Hunt; sister, Kay Coleman; brother, Buck Hunt; and her husband, Jerry Harrell Strickland. She is survived by her sisters, Mary Hunt Hedges of Chattanooga, Tenn. and Noel Hunt Blancas of Houston, Tx. ; children, Becky Glasgow, Hal Strickland and Laura Strickland; her granddaughters, Lauralee Allen (Will), Grace Duthe (Will), Maggie Negaard (Grayson), Abigail Glasgow and Natalie Glasgow; great-granddaughters, Grace and Noelle Allen; and many beloved nieces and nephews. A funeral ceremony was held at 11 a.m. Sunday, February 10, at Bliley’s-Central, 3801 Augusta Ave., Richmond, Va., where the family received friends an hour prior. Burial will be held at 11 a.m. Tuesday, February 12, in Port Hudson National Cemetery, 20978 Port Hickey Rd., Zachary, La. 70791. In lieu of flowers, memorial contributions may be made to Beth Sholom Gardens, 1600 John Rolfe Pkwy., Richmond, Va. 23238.